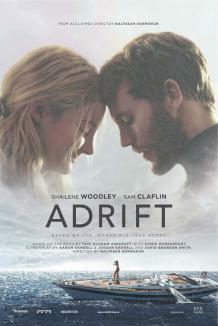 "Adrift" is a two-tiered throwback -- a stirring, at times grueling portrait of survival, and an old-fashioned showcase for star-producer Shailene Woodley. 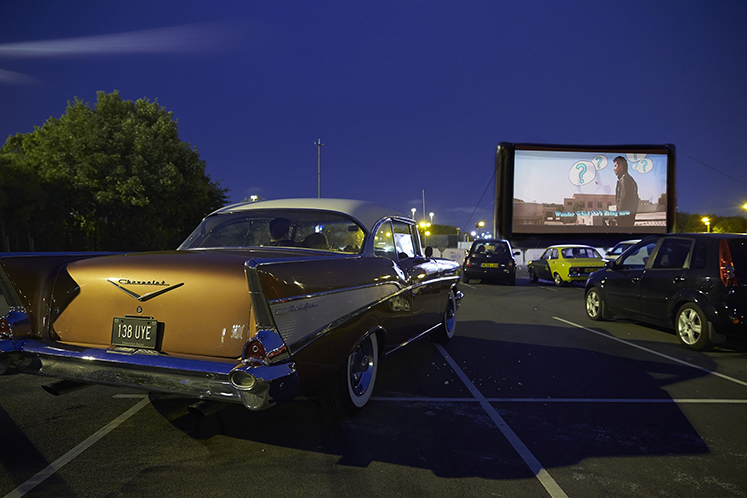 It works on both levels, although more casual film-goers might understandably opt to catch this TV-movie-style true story after it's sailed out of theaters. Director Baltasar Kormakur previously helmed "Everest," so he has some experience with the man-(or woman)-against-nature genre. Moreover, the producers chose to do most of the shooting on location in Fiji, which brings a sense of authenticity to the ordeal. "Adrift" is based on events that took place in 1983, later chronicled in a book by Tami Oldham. What gives the movie momentum, though, is a dual narrative structure, beginning with the aftermath of the hurricane that left Woodley's Tami stranded, then flashing back to her meeting Richard ("The Hunger Games'" Sam Claflin), her partner on the journey. " That approach both creates an element of suspense about the moment when the crisis happened, as well as the prospect of being rescued. It also turns "Adrift" into a reasonably effective love story, with the free-spirited Tami landing in Tahiti and being wooed by Richard, who fatefully agrees to sail a wealthy couple's boat to California for them. "We're gonna die out here," Tami mutters more than once, which only makes her courage and resilience all the more stirring. The key scenes are harrowing, and the shifts in time help break up a story that could easily become claustrophobic as the wait to be discovered drags on. It's worth noting, too, that while the particulars are easily found via a Google search, given the slim nature of the story, the less one knows going into the movie -- other than the fact that Tami lived to write a book about it -- the better. Because this is largely a two-character piece, there's considerable pressure on Woodley and Claflin, and they deliver admirably. The actress, in particular, continues to demonstrate her versatility after the "Divergent" series and HBO's "Big Little Lies." "Adrift" might be about a boat floating into the unknown, but seen that way, the movie and its star, at least, seem to know exactly where they're going.